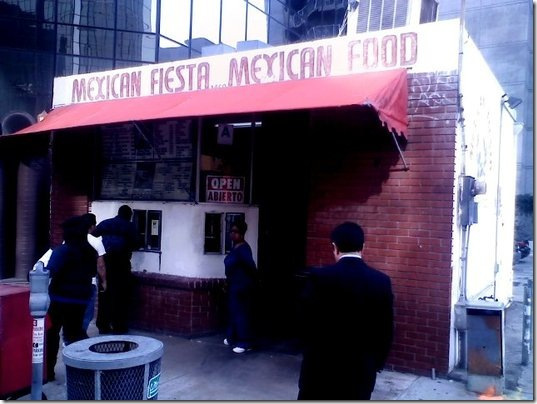 The micro standalone Little Italy destination for tacos and burritos, Mexican Fiesta has shuttered after nearly four decades in business in order to make way for a high-rise apartment building with a new groundfloor restaurant. The quaint walk-up, cash-only Mexican Fiesta eatery closed over the holidays after more than 35 years on India Street at the base of San Diego's Little Italy. The small building will soon be torn down to make way for San Francisco-based Forge Land Co. to develop a 150-apartment unit, 28-story luxury high rise with 7,000 square-fee of ground floor retail, including the addition of a new restaurant. Forge Land Company's high-rise apartment building at 1460 India Street is headed by Richard Hannum and designed by Kwan-Henmi Architecture Planning. The company aims to construct a modern work of art, with plans for the structure including an extensive glass façade to showcase the spectacular views from the residences. 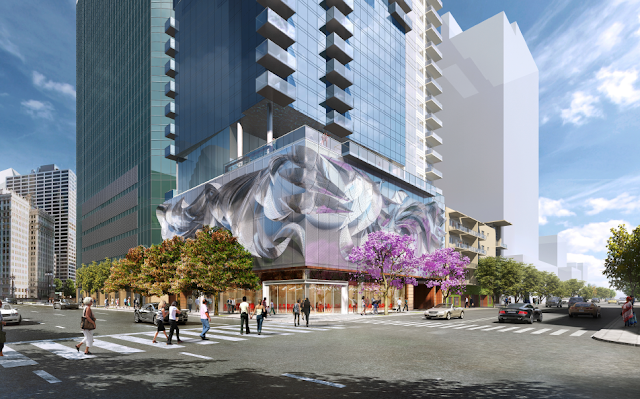 An art piece by co-owner John Asaro will accent the exterior of the fully automated parking structure and abstractly depict the ocean and the tuna business that helped found the neighborhood. The ground floor retail space is expected to be a yet-to-be named restaurant that will service both the dining room that opens onto the street and the podium level bar/pool lounge. The project will also have a greywater recycling system, photovoltaics, and fuel cells in the basement. Even with 150 residences, the building aims to be a net exporter of electricity due to its state of the art green technologies. Forge Land believes that construction is will begin in first quarter 2018 and be completed 22 months later at an estimated cost of roughly $60 million.